This is a great little kit, and very easy to assemble. 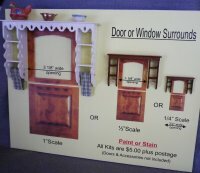 The kit comes with complete step by step instructions with pictures. 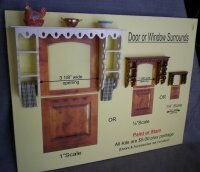 All you need to complete this project are your basic tools, wood & tacky glues, semi-gloss varnish, double back tape, Silver paint or marking pen and clear nail polish. All wood and stringing components are in the kit. 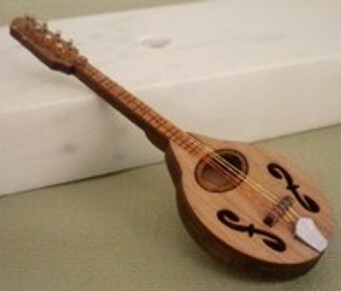 Finished Mandolin measures 3 " x 1".